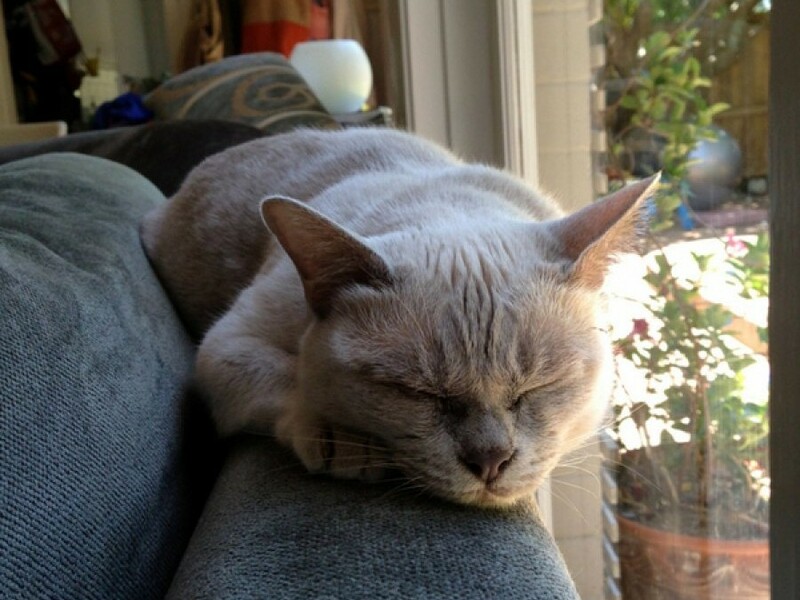 About 4 weeks ago now, we adopted a beautiful 5 year old lilac Burmese cat after her owner had to move overseas. She is now in Manly, sharing a house with Ned (4), Tess (2), mum and dad. After hiding in her bathroom for about a week, I am pleased to say she has become part of our family and loves the attention from the kids. And in true Burmese style, just loves being near people as you can see from the photos. If you get a chance, please let her previous owner know how thankful we are and how settled she is. She is a much loved pussycat.